When the lights go on opening day at San Francisco’s new Exploratorium on Piers 15/17 they will be powered by an electrical system designed by Cammisa + Wipf. With 300,000 square feet of indoor and outdoor space, the new facility will offer three times the exhibition area as its former location at the Palace of Fine Arts. 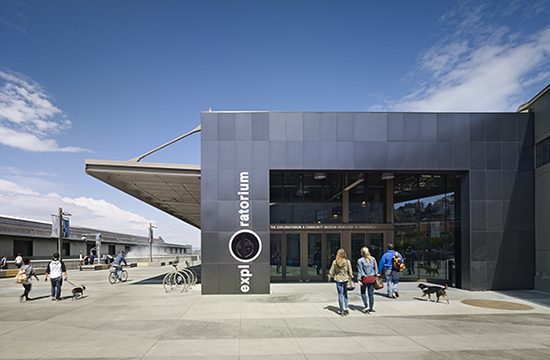 The new Exploratorium’s unique structure incorporates sustainable and energy savings systems, including the programmable control of all lighting systems and exhibit gallery receptacles. With a goal of achieving net-zero status, the Exploratorium will be one of the most efficient buildings in the country. Supported by hundreds of pilings, Pier 15 is anchored to the Embarcadero and stretches more than 800 feet over the water. To provide adequate support for all the Exploratorium equipment and technologies while maintaining architectural integrity, Cammisa + Wipf carefully planned and detailed the routing of all power and signal wiring to integrate within the unique building structure. The system seamlessly integrates with other systems within the facility, and has the flexibility to accommodate future exhibit changes. The Exploratorium is a world-renowned science museum that attracts more than 500,000 visitors every year to experience its original, interactive exhibits. A premier professional development center, the Exploratorium has been dedicated to education reform in and out of the classroom for more than 40 years. 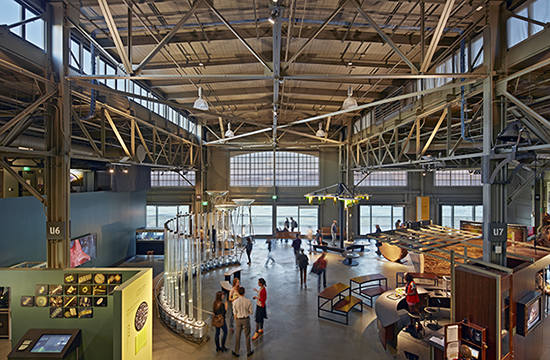 The new Exploratorium opens its doors on April 17, 2013. Click here for more information about Cammisa + Wipf’s work at the Exploratorium. With a goal of achieving net-zero status, the Exploratorium will be one of the most efficient buildings in the country.